SKIT kicks down the doors of The Sunflower Lounge (metaphorically and politely) this Thursday to start a party with rappers from Wolverhampton, Birmingham and London. Opening up the night will be the duty of Birmingham’s HY. It’ll be his debut show so if you are heading down, go easy on the lad. Essie Gang are travelling down from London town to start a riot with their sound that blends the best of UK grime and trap. 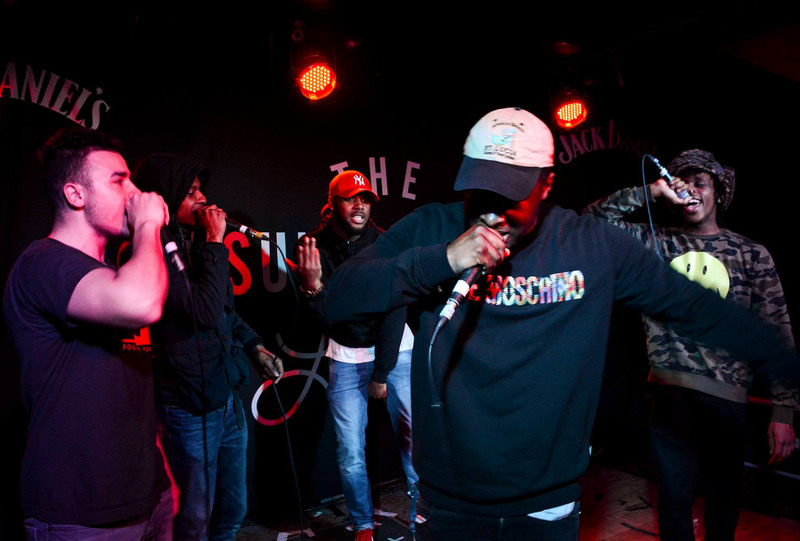 Topping off the mammoth bill are WVLF a crew made up of rappers, producers and general creative types from Wolverhampton. If you count yourself among one of the many rap-fans in the West Midlands then be sure to be in attendance. Its free entry. This won’t be your traditional hip hop open mic night so if you are into your old school boom-bap; look away now. SKIT aims to showcase young and hungry talent who have a sound rooted very much in the present day. 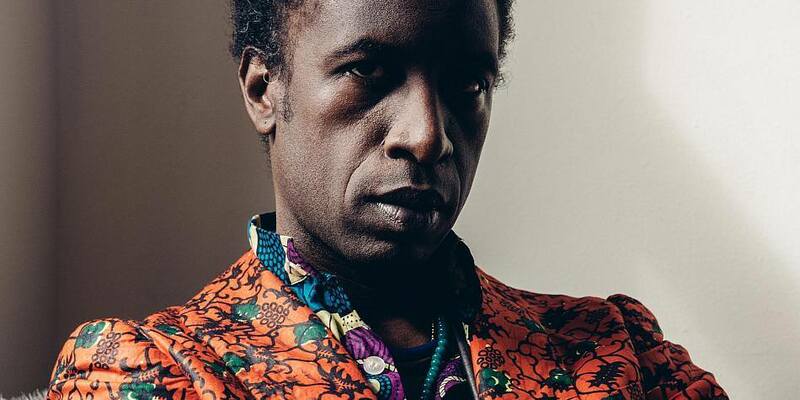 If you have been waiting years to bask in the glory of Saul Williams and his many, many talents then this Friday is your time to bask. Saul Williams of course being the rapper, poet, writer, actor extraordinaire that will inspire you and make you feel lazy in equal measure. Is there anything the man can’t do? This Friday will be a showcase of his music and poetry as part of a very special night of creative flourishes. Support comes from Kojey Radical; which for modern, younger audiences, may well be the main reason to go this show. Kojey has been dropping genre-shunning blasts of poetry and music for the past year accompanied by cinematic visuals. He’s an exciting force in modern music. If that double bill wasn’t enough to tempt you; South African born and Walsall based rapper Phundo Art will be opening up proceedings with his fiery brand of rap. His live show is always nuts. Fancy giving your ears a rest this weekend and instead want to enrich your eyes? Head over to The Custard Factory for the SQUEEZE Exhibition. Arts collective Broadcast are opening up the SQUEEZE showcase this Friday night which features work from brand spanking new creatives based in Birmingham. Among them; Elizabeth Ilsley who we featured in Issue two of the physical BabMag. Ilsley will be showcasing her brand new collection of hand-painted leather jackets as well as some of her provocative screen prints. Fine art will be rubbing shoulders with the more contemporary as Eden Calgie’s illustrations will also be on show. And if photography is your thing then you’ll have the chance to pour over Charlie Soffe’s recent work. This exhibition is set to be a one stop shop for anyone looking to get familiar with Birmingham’s new wave of young artists. This workshop is calling for all hands on deck(s) for an exploration into digital music performance. Thavius Beck is headlining the night so even if you don’t fancy getting stuck in; you have the opportunity to see a real master at work. Thavius Beck has worked with the likes of Saul Williams, NaS and Nine Inch Nails. He’s also had music released on influential labels Big Dada and Mush. He’ll be demonstrating how he uses digital platforms to enhance his creative process. If you are an aspiring beat wizard then you need to make your presence known at this workshop. It’s sure to be mad inspirational. A real meeting of minds is set to go down this Saturday in Digbeth. Legendary staple of Birmingham’s night life The Old Crown is opening its doors to welcome DJs from fledgling Northern Soul venue The Night Owl. The party will be going from 2pm til 10pm and after the shindig peters out at The Old Crown; The Night Owl are offering reduced door entry. Make a day and night of it. Reconnect with those classic sounds. Why not? From the same party animals that bring you MoHo every month at Spotlight; comes this musical shrine to 80s disco. It’s known to get pretty damn sweaty upstairs at The Victoria so perhaps airy flairs is the best dress code option? But as they say it doesn’t matter what you wear; as long as you are there. Expect to hear disco inspired sounds both old and new. Who doesn’t love a good session? If you want the hard stuff (house & techno) then nod your head all the way down to Amusement 13 for the first in the new Form Sessions series. If arriving fashionably late is your thing; last entry is 3.30am because this session is going til 5am. Providing the floor-killers will be a hand-picked line up of local DJs. If you like to have it and you like to have it large then FORM is the session for you.